Though outgunned, Jones’ superior fighting skills carried the day and the Serapis eventually struck its colors. Despite having defeated the British forces (Countess of Scarborough struck her colors as well), the Bonhomme Richard sank the next morning and Jones transferred his flag to the Serapis. 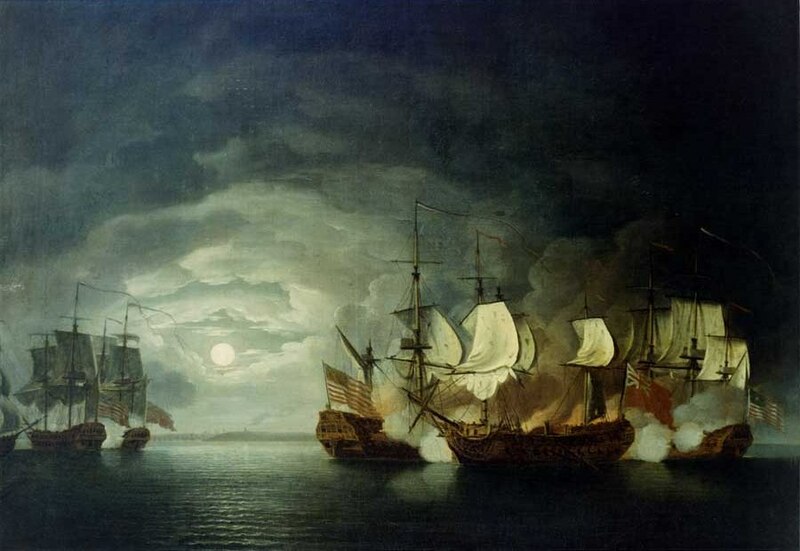 Jones’ victory was not the last in which an American naval force engaged British forces while penning a famous phrase. The wreck of the Bonhomme Richard is considered one of the crown jewels of shipwrecks and has been the subject of several discovery expeditions. Unfortunately none have been able to locate the wreck and its final resting place off Flamborough Head remains a mystery. John Paul Jones is considered the father of the American Navy and his words “I wish to have no connection with any ship that does not sail fast for I intend to go in harm’s way” are just as famous in naval circles as “I have not yet begun to fight.” Sadly, Jones never held a significant sea command in the US Navy after the Battle of Flamborough Head and died an Admiral in the Russian Navy.